(Bloomberg) – Even as South African President Cyril Ramaphosa’s July announcement that the ruling party will push ahead with plans to expropriate land without compensation pushes down the rand and damages investor sentiment, he sold $1.3 million worth of animals from his expansive game and cattle operations. 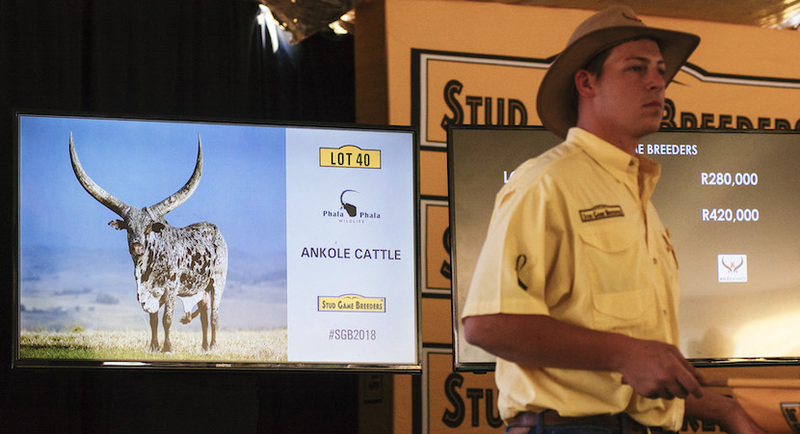 An auction near the northern South African town of Bela Bela on Saturday by a group of six farms known collectively as Stud Game Breeders raised about R99 million ($6.7 million) Saturday through the sale of animals including Cape buffaloes and kudu antelope. Ramaphosa’s Phala Phala Wildlife farm is part of the group and sold animals for a total of R19.7 million. While Ramaphosa’s African National Congress embraces calls to change the constitution to allow the state to expropriate land without paying for it, Ramaphosa told 400 of the world’s biggest game buyers that the government would implement its eventual land policy responsibly when he spoke to them the night before the auction, people who were at the event said, declining to be identified. Attendees, some of whom arrived in private jets and helicopters, are among the nation’s biggest landholders. “It’s something that invokes contradictory feelings for others in that this man is very rich,” but he is “advocating for land redistribution,” said Somadoda Fikeni, a politics professor at the University of South Africa in the capital, Pretoria. “Many commercial white farmers know it’s untenable” to not deal with land reform, and “they would be hoping that at least he has an ear with them,” he said. While the ANC says the change is needed to address skewed land ownership patterns built up during white minority rule, critics including the opposition say the party is trying to deflect attention from the government’s failure to properly manage earlier land-reform efforts as its heads toward elections next year. The president has said his government is considering suggestions where land could be taken without compensation when it is unused, held purely for speculative reasons and where occupiers have strong historical rights and current owners do not occupy or use it. “Land reform in South Africa is a moral, social and economic imperative,” he said in an column published by the Financial Times. Ramaphosa didn’t witness the sale of his 15 lots that included sable antelope, oryx and his rare Ugandan Ankole cattle, as he left on an official trip to China. People attending the auction, the biggest of its kind this year, said there had been talk about Ramaphosa’s lots being boycotted because of the ruling party’s expropriation plans. This didn’t come to pass, with many of his animals commanding premium prices, said Brandon Leer, an independent auctioneer who ran the event. The president’s biggest earner was Nduvo, a four-year-old buffalo bull bought for R4.1 million. The rest of the farms that make up Stud Game Breeders group are owned by white men. This includes Nyumbu Game, which belongs to Norman Adami, the former chairman of SABMiller Plc’s local unit. Adami sold about R42 million of game including Umfula, a buffalo bull that fetched R7.5 million, the day’s highest price.